It seems ages since I've posted a sewing tutorial! But that's why I'm so excited to share this one with you today. This was completely a stash project for me too. The denim scraps I commandeered from my mom's stash. I think they were some shorts one of my siblings had in the 90s. 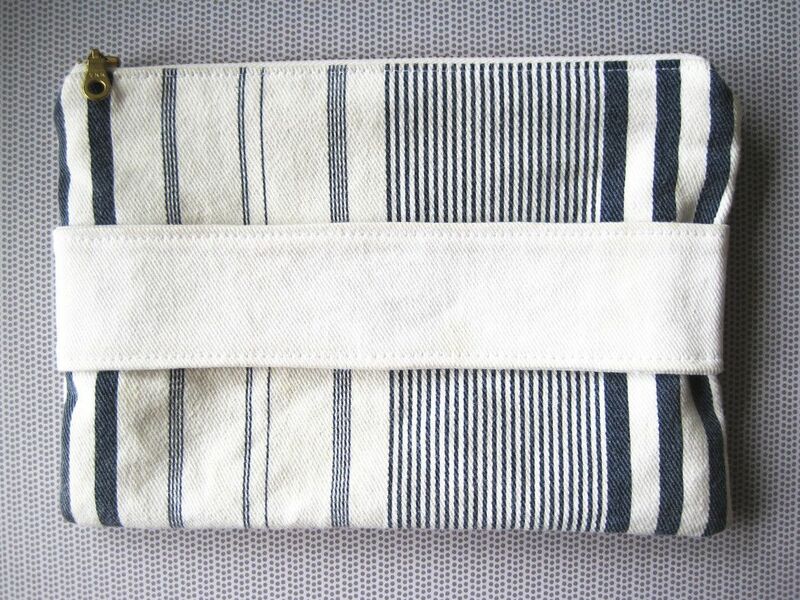 I loved the print though, and wanted to turn it into a clutch. I used some white denim that I had in my fabric stash to make the hand strap. I love the hand strap because it makes it easier to hold onto the clutch itself. I'm quite pleased with how it turned out too. The tutorial is pretty simple too. You can raid your own stash for fabric, look in remnant bins at the fabric store, or go to a thrift shop to find some cool patterned denim. You could even use fabric paint on plain denim if you're feeling extra creative. **I will only give a the dimensions I used for my pocket, not the tutorial. It was my first time doing I pocket like this, so I don't feel comfortable giving a tutorial yet. However, I used a video tutorial by Deby from Sew So Easy. She explains it really well. 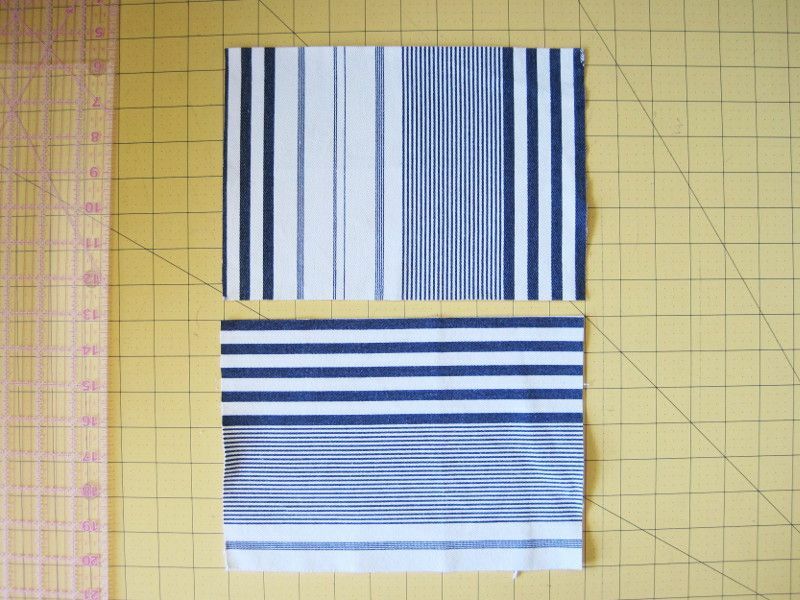 If using fusible interfacing, fuse interfacing to the wrong side of your main fabric. 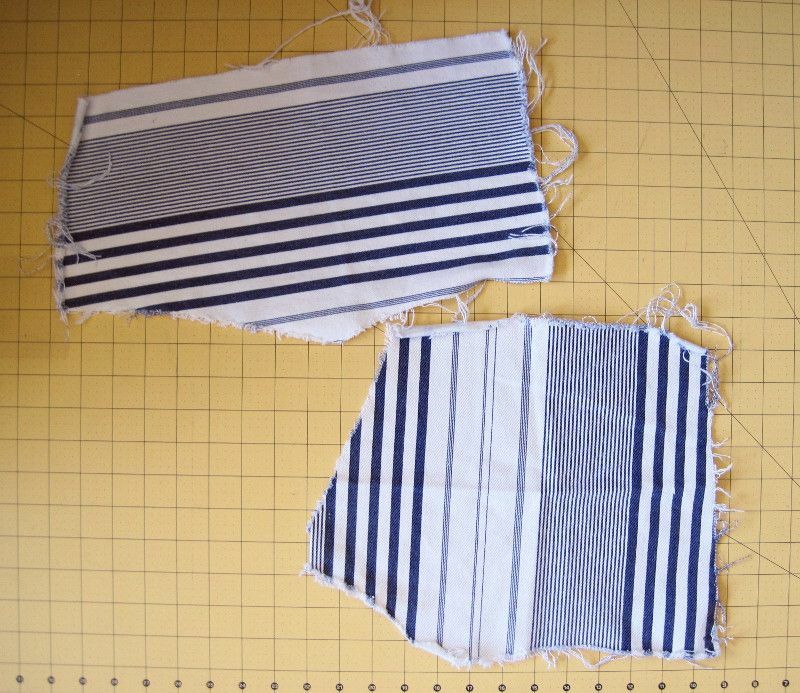 If using sew-in interfacing, baste interfacing to wrong side of main fabric. 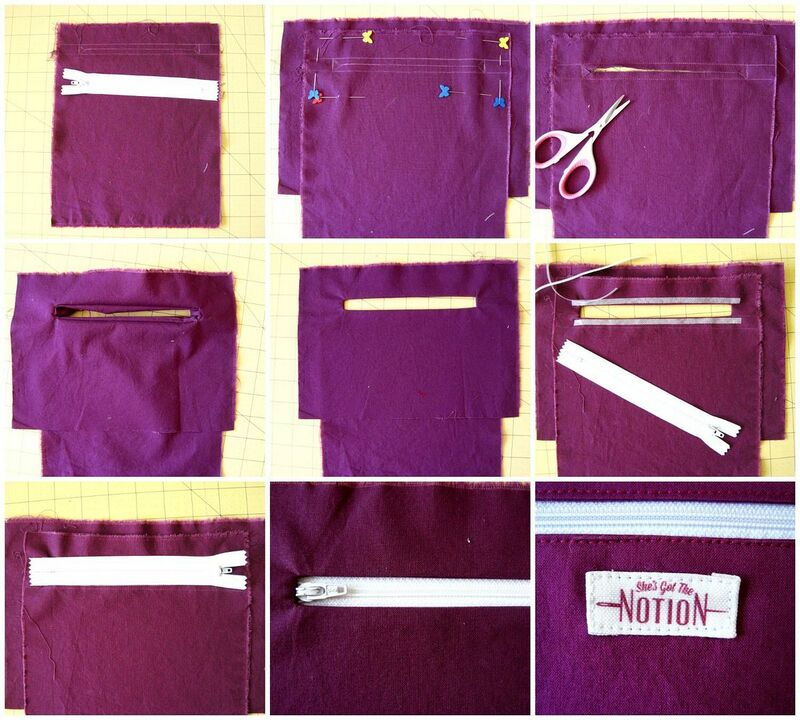 Optional for interior pocket: sew the interior pocket to a lining piece. I used this video tutorial. 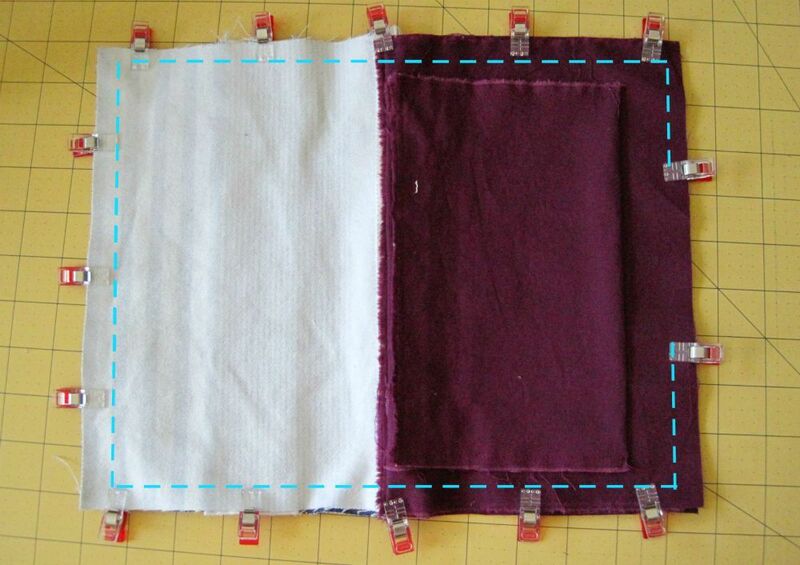 Place strap fabric right sides together. You may add interfacing to the strap if you wish, but I went without. 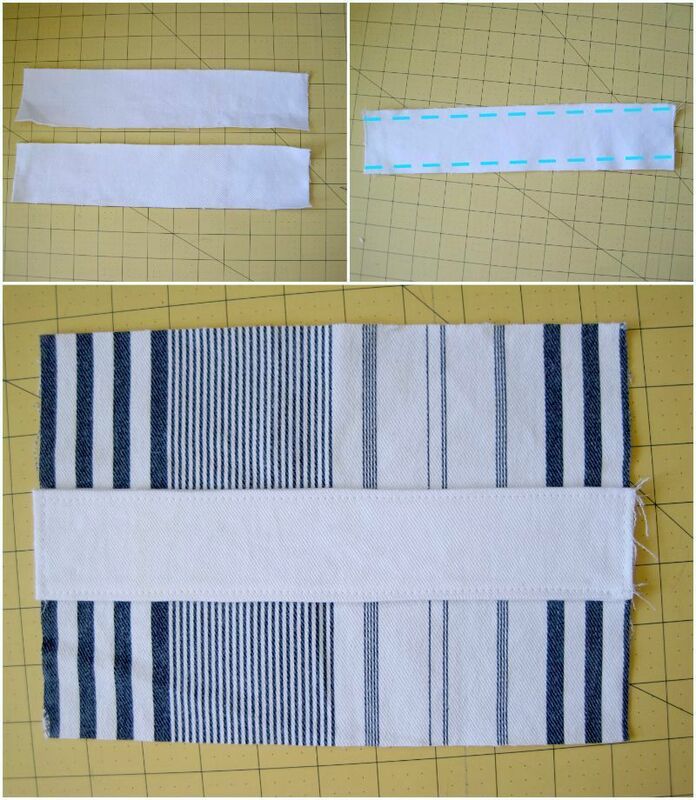 Sew with a 1/4" seam allowance along the top and bottom of the 10" sides, creating a long tube. Turn & press. Top stitch along the top and bottom. Align strap in middle of the you main fabric front piece. Sew into place close to the edge. Lay lining back fabric right right up (the one with the pocket, if you made an interior pocket). Align the zipper right side up along the top edge. Place the main fabric back piece (the one without the strap) wrong side up on top. I use a glue stick to keep the fabric together. Alternately, you can pin into place. 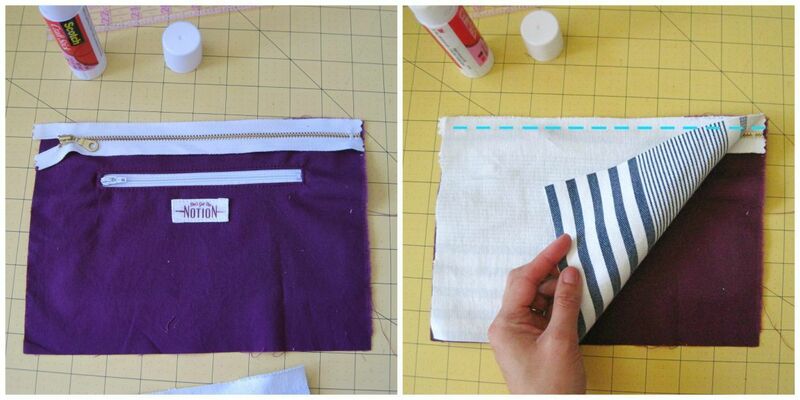 Using your zipper foot, sew zipper with a 1/4" seam allowance. Press main fabric and lining away from zipper teeth. Top stitch. Repeat for the other fabric pieces: Lay lining front right side up. Align the other edge of the zipper tape right side up on top. Lay interior front piece wrong side up on top. Sew with a 1/4" seam allowance. Press fabric away from zipper teeth. Top stitch. Unzip your zipper halfway. Align and pin main fabric right sides together. Align and pin lining right sides together. Make sure the zipper teeth are pushed toward the lining. This avoids unattractive puckering in the final product. Beginning at the interior bottom, start sewing with a 1/4" seam allowance along the 4 edges, pivoting at each corner, and leaving a 4" unsewn gap in the lining fabric bottom for turning. Take care to avoiding sewing over zipper teeth if you're using a metal zipper. Clip corners and trim off excess zipper tape. Turn clutch right side out through opening in the lining. Poke out corners using a turning tool, or chopstick, etc. Sew gap in lining closed by hand or machine. Now give your clutch a final press. Voila! I hope you liked this tutorial! 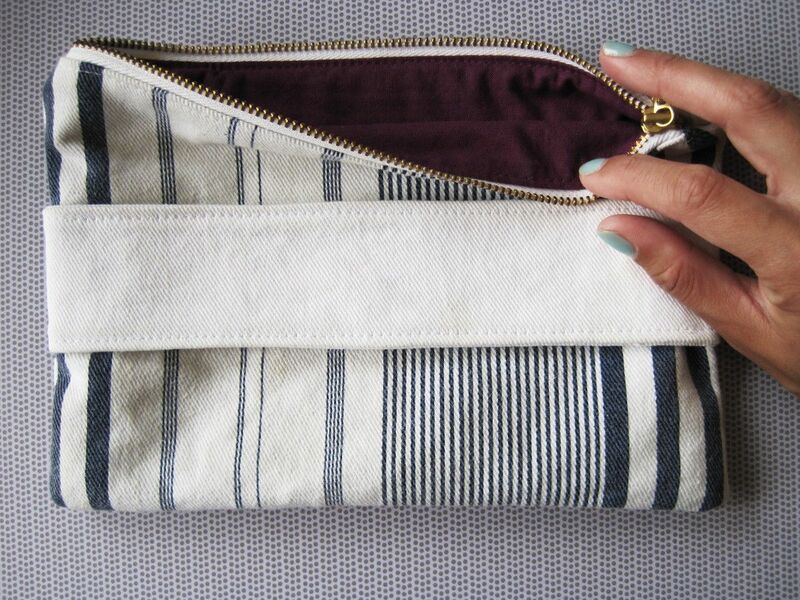 If you make a clutch using this tutorial, please snap a photo because I'd love to see it! You can tag me on Instagram or Twitter, or post it to my Facebook page. 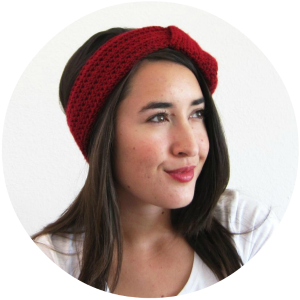 And be sure to follow me on Bloglovin' or Google+ to keep up with the latest on my blog.